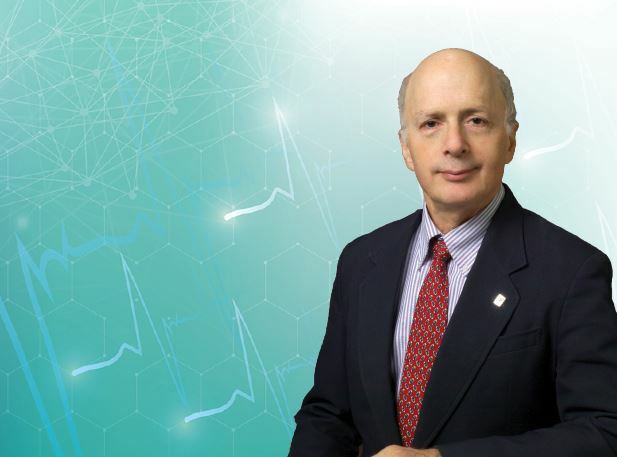 Dr. Itzhak Brook, M.D., a Professor of Pediatrics at Georgetown University in Washington, D.C., has a fascinating life story. Born in Israel, he trained as a physician and served in the Six-Day and Yom Kippur Wars. After moving to the United States to pursue his career in medicine, he was diagnosed with cancer of the throat and had his larynx removed. Subsequently, he had to learn new methods of breathing, speaking and eating, among other basic functions. Despite these difficulties, Dr. Brook persevered and continued in his profession as a medical researcher and university professor, speaking now in a hoarse stage whisper. Having gained more empathy with his patients, he now utilizes his experiences to help others: He wrote a book offering guidance to other survivors of larynx cancer that has been translated into 12 languages. Hamodia spoke with Dr. Brook to find out more about his journey. Dr. Brook, please tell us about your background. I was born and raised in Haifa, graduated from the Hebrew University School of Medicine in Yerushalayim, and completed my pediatric training at Kaplan Hospital in Rehovot, Israel. I began practicing as a physician in Israel as a specialist in pediatrics and infectious diseases. 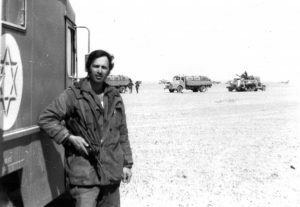 During the Six-Day War, I served in the Israeli Army as a medic, and during the Yom Kippur War as a battalion physician, where I took care of many wounded soldiers. The Yom Kippur War was a very difficult one, with many, many casualties. In fact, more than 2,800 soldiers died and over 9,000 were wounded in just 18 days of fighting. In 1974, I came to Los Angeles, where I did a fellowship in infectious diseases, and subsequently joined the Medical Corps in the United States Navy. Now I am retired. I do some teaching at Georgetown University, and I advise patients. Your book, In the Sands of Sinai — a Physician’s Account of the Yom Kippur War, discusses your experiences during that conflict. Can you tell me about some of those experiences? I grew up in a traditional, but non-Orthodox, home. However, in my group during the war, there were two religious medics who displayed strong faith in G-d and His ability to help us win the war. I respected their convictions and secretly wished that I could find the same level of comfort they did. One particular incident made me realize how deep their faith really was. I was stunned, but I immediately realized that he had a higher moral standard than I did. While I had been thinking about my own life, he was able to think beyond his own safety and risk his life, remembering that his duty as a medic was to care for others. Toward the end of the war, I was injured and hospitalized for five days. On my first Shabbat after being released, I went to synagogue to recite the Gomel prayer. I teared up as I said the prayer, as I felt lucky to have made it through alive, but I felt a deep pain and sadness at the realization that so many had not made it alive from the war. I came to the United States about nine months after the Yom Kippur War to pursue a medical fellowship in Los Angeles. I found myself surrounded by people who could not relate to the trauma and circumstances that I experienced during the wars in Israel. The first time in the United States in which I found myself in a situation in which others could directly relate to and appreciate my war experiences was at Yom Kippur services exactly a year after the war. We went to the Chabad Synagogue in Los Angeles. The Rabbi began the services by recalling the events that had taken place a year earlier and emphasized how close Israel had come to catastrophe. He asked the congregation to pray for the souls of the soldiers who gave their lives al kiddush Hashem. I was moved to tears when I heard the Rabbi speak. I felt I had finally found someone who understood what we went through. What was your role in the Navy? I joined the Medical Corps of the U.S. Navy in 1980, seven years after the Yom Kippur War, mainly because of the research opportunities offered to me. As a naval officer, I found eager ears for my war stories and experiences. 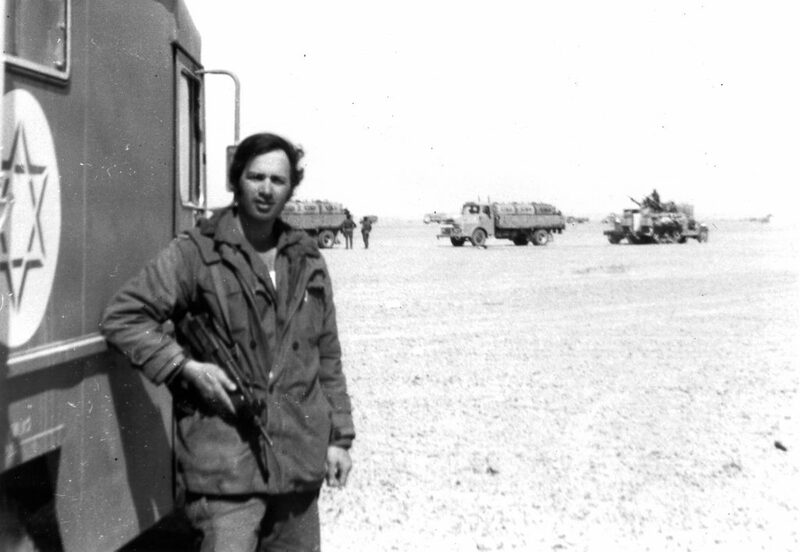 At that time, I was one of a handful of physicians who had firsthand experience in war. Other officers looked up to me and asked my advice on practical issues related to mass casualties and PTSD (post-traumatic stress disorder). I delivered several lectures on these topics and shared my perspectives with Navy psychiatrists-in-training. I served 27 years in the Navy and always felt that I was serving the same cause as before, albeit in a different uniform. The memories of American assistance to Israel during the Yom Kippur War made me feel that I was serving with a true friend of my homeland. As part of my duties in the Navy, I worked together on many joint projects between the Israelis and the Americans. As I knew people in both militaries, I was able to be a conduit between them, and that was very gratifying. I was diagnosed with cancer of the larynx in 2008, while I was still in the Navy. Initially, I was treated with radiation, but then a few years later the cancer recurred. I had a laryngectomy, which means that my larynx, which contains the vocal cords, was removed, and I received a voice prosthesis. Becoming a laryngectomee (a person without vocal cords) was a trying experience that affected my most fundamental functions — speaking, breathing and eating. Communicating with others became a challenge for me and I had to learn how to speak again. In addition, there were many new medical issues I had to face that had emerged as a result of the treatments that I received. How long did it take to learn to speak again? I started learning to speak again about one month after the surgery. However, it was a difficult process. Speaking after a laryngectomy is a whole different method of speech, which uses special equipment and devices and the stoma, or opening in the neck. These devices have to be functioning optimally in order for the laryngectomee to be heard and understood properly. However, I was able to master the new method of speech and continue to give lectures at the university and in public forums. In addition to mastering the mechanics of speaking, I had to confront many psychological and social issues. Speaking with a voice prothesis is difficult and interferes with one’s ability to interact with others. Many people face isolation and depression, and it is often a great struggle, which I wrote about extensively in my book, The Laryngectomee Guide. I also wrote a book entitled My Voice: A Physician’s Personal Experience With Throat Cancer, capturing the three years of my life following a diagnosis of throat cancer, as I dealt with medical and surgical treatments and adjusted to life afterward. What prompted you to write these books? I realized that there was very little information available to assist head and neck cancer survivors, including guidance for laryngectomees in coping with their new condition. Furthermore, most physicians and nurses are not familiar with many of the practical issues. I had to gather materials from many sources to learn how to deal with my new daily tasks and routines. I did this by searching and reading the medical literature, and learning from physicians, speech and language pathologists, mental health providers and fellow head and neck cancer patients. The 170-page Laryngectomee Guide explains to patients how they can cope and how to deal with radiation treatment and its side effects. It provides practical information that assists patients regarding their ability to eat, speak and breathe. It explains the various methods of speaking after a laryngectomy; contains information on how to care for the airway, stoma and voice prothesis; and discusses the psychological, dental and medical issues that a patient has to face. It also provides advice on how to travel, which presents special challenges to a laryngectomee. The book has been translated into 12 languages and is available in many countries around the world. Speech therapists and patients alike are very pleased and grateful for the book. The Guide was adopted by the American Academy of Otolaryngology — Head and Neck Surgery, and made available on their website as a free download. It became a helpful tool in educating cancer patients throughout the world within five years after it was printed. The Guide was also translated into Arabic, which has a great significance to me. I regard this as a small attempt to contribute to the cause of peace and understanding and enhance the coexistence between Israel and its neighbors. It may serve as a testimony that alleviating patient suffering and improving people’s lives has no borders. In truth, this is a continuation of what I did in the Six-Day War and the Yom Kippur War, when I treated many Jordanian and Egyptian prisoners of war. Can you give us an example of some of the difficulties experienced by laryngectomees, as described in your book? Eating, swallowing and smelling are not the same after laryngectomy. This is because radiation and surgery create permanent, lifelong changes. 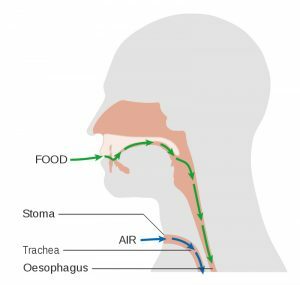 Eating and swallowing difficulties can also be generated by a decrease in saliva production and a narrowing of the esophagus. Smelling is also affected because inhaled air bypasses the nose. Some laryngectomees experience recurrent episodes of food becoming stuck in the back of their throat or esophagus, which prevents them from swallowing. I offer several suggestions on how to deal with this, but also offer reassurance, because a laryngectomee cannot choke on his food, as his esophagus is completely separate from his trachea. How do your experiences help you deal with your patients? Becoming a patient with a serious illness after practicing medicine for over 40 years allowed me to understand the hardships and difficulties that patients face in ways I could not have understood before. My experiences have made me more compassionate and able to empathize with my patients and understand what they are going through when dealing with a serious illness. I can understand the difficulties of my patients from both sides of the stethoscope. A laryngectomy is the surgical removal of the larynx. The larynx is the portion of the throat that houses the vocal cords, which allows the production of sound. The larynx also connects the nose and mouth to the lungs, and it protects the breathing system by keeping food and drink in the esophagus and out of the lungs. A laryngectomy, therefore, not only affects speaking; it also affects swallowing, and breathing. A patient who has had a laryngectomy will need to relearn new ways to speak, eat and breathe after surgery. There are two different pathways within the throat — one to the stomach and one to the lungs. 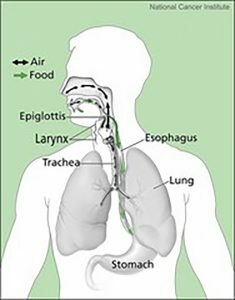 The esophagus is the pathway to the stomach, and the larynx and trachea (windpipe) lead to the lungs. When the larynx is in place, it shares a common space with the esophagus known as the pharynx. A laryngectomy removes the larynx, cutting off the connection between the mouth and the lungs. After a laryngectomy, the esophagus and trachea no longer share the common space. The patient will breathe through a surgical hole in the neck called a stoma. The stoma is a substitute for the normal breathing pathway that is modified during surgery. After a laryngectomy, there are three possible methods of speech. These are tracheo oesophageal puncture, or TEP, using a voice prosthesis; Oesophageal speech; or with an Electrolarynx. Speech and language pathologists train the patient to speak using the method that is best suited for his individual situation. THE STOMA AFTER A LARYNGECTOMY. Tracheo oesophageal puncture (TEP) is the most common way to restore speech after surgery to remove a larynx (laryngectomy), but it is not suitable for everyone. To create a TEP, the surgeon makes a tiny hole called a fistula at the back of the stoma. The hole creates an opening between the windpipe and food pipe (esophagus). This can be done as part of the laryngectomy, or as a separate minor surgery. The surgeon then inserts a small valve, called a voice prosthesis, into the hole. The voice prosthesis is a valve. It allows the patient to make sounds by pushing air from his lungs through the valve and up into the mouth. The patient must cover the stoma with his fingers while speaking, so that the air goes through the valve and not out the stoma. Once a person gets used to this type of voice prosthesis, he might be able to use other types of valves which are hands-free. These devices automatically close the stoma when speaking, so the patient does not have to manually cover the hole whenever he wants to say anything. However, hands-free valves are not suitable for everyone. 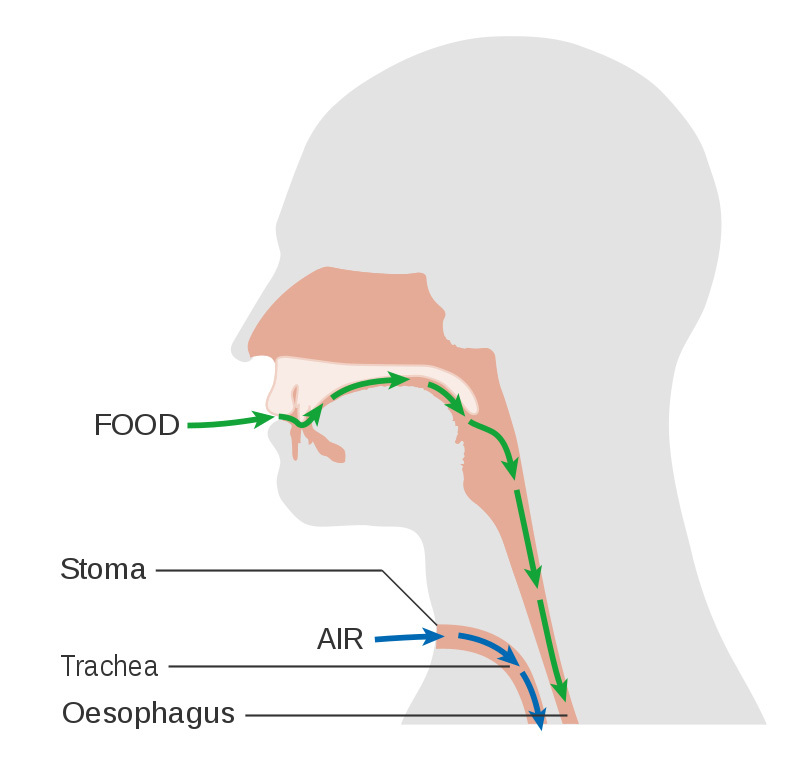 To speak using this method, the patients move air down into his food pipe (esophagus). The air passes through the muscles in the throat and causes vibrations. The patient learns to use these vibrations and turn them into speech by moving his mouth and lips as he would when speaking normally. Of the three major types of speech following laryngectomy, esophageal speech usually takes the longest to learn. The biggest difficulty is moving down enough air to be able to produce continuous speech. It requires a lot of hard work and practice; some people are able to learn it more quickly than others, and some people are even able to return to jobs that require a lot of speaking. Despite the difficulty, this method has several advantages, not the least of which is freedom from dependency on devices and instrumentation. An electronic larynx (electrolarynx), is a battery-operated machine that produces sound to create a voice. There are many different makes and types, but they are usually about the size of a small electric razor. The patient holds the machine against his neck, or fits a small tube into the corner of his mouth. When he presses the button on the machine, it makes sound. When he moves his tongue and mouth, he can form the sounds into words. The electrolarynx is appropriate for patients who did not receive a voice prothesis. The disadvantage is that the speech has a mechanical sound to it. Still, most people can make themselves understood. Some of the machines have buttons to adjust the pitch or tone of the sound, and this makes the voice sound more varied.